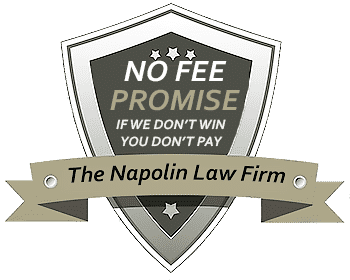 Home » Practice Areas » Personal Injury » Who Is Liable? » Premises Liability Who Is Responsible? Who is Responsible for these Injuries on this Business's Premises? When you walk into someone's private property, whether it is owned by a business or a citizen, you have a reasonable expectation that you will not be injured in any way before you leave. Unfortunately, however, things don't always go how you plan. You may walk into a retail store in your area during the winter only to slip and fall on a wet floor. You may walk into the home of one of your neighbors only to fall down the steps because they have yet to get around to fixing that loose railing that they've known about for months. When these types of situations happen, the idea of "premises liability" comes into question in a significant way. From a legal perspective, property owners are liable for any and all injuries or accidents that occur on their property. Understanding more about premises liability and how responsibility is determined is one of the keys to protecting your rights should you ever find yourself in this type of situation. One of the major factors used in most states to determine premises liability involves the legal status of the injured party. Essentially, it all comes down to whether or not they actually had a right to be there at the time of the incident. A person can be an INVITEE, which means that they were invited onto the property by a property owner or were the customer of a retail establishment that was open to the public. They can be a LICENSEE, which would be someone who enters a property with consent to perform a specific purpose. They can be a SOCIAL GUEST, which would describe someone like a family friend who came over to visit with their loved ones. They can be a TRESPASSER, which means that they are entering the property without any legal right whatsoever. Even in the case of trespassers, there may still be a legal obligation on behalf of the property owner to warn any and all parties about dangerous situations. An example of this would be posting a sign that says "Beware of Dog" in your front yard. States that do not determine premises liability solely based on the legal status of the injured visitor often fall back on the condition of the property and the actions that the visitor participated in during their stay. Basically, what this is trying to determine is whether or not the visitor was walking into a situation that was dangerous that they were otherwise unaware of, or if they performed some action during their stay that directly contributed to their accident. Case in point: a customer who walks into a retail store during the winter has a reasonable expectation that they will not slip and fall on a wet floor. If a floor is wet, it needs to be properly labeled or quickly attended to by employees. However, if that same customer walks into a store, climbs up onto a shelf that they're not supposed to and injures themselves in a fall, you're suddenly talking about a very different type of situation. In certain types of situations, both parties can be found at fault. The property owner may have failed to take care of an issue that created a dangerous environment AND a person could be trespassing or participating in an activity that led to their injury. In this situation, legal damages are often reduced by a percentage that is equal to the injured party's responsibility in the injury in the first place. Premises liability cases are rarely cut and dried, which is why it is so important to consult a qualified legal professional as soon after an incident takes place as possible. Doing so is your best way to protect your rights and to make sure that the person who is actually at fault is ultimately held responsible in a court of law.